NOTE: I know, I know. This page is pretty weak...but I only came to this game to see the Raptors' (now former) All-Star player make one of his spectacular dunks. Unfortunately, Vince Carter made only one dunk in the entire game, which just so happened to be an alley-oop dunk that ended up being his dunk highlight for the entire 1999-2000 season. 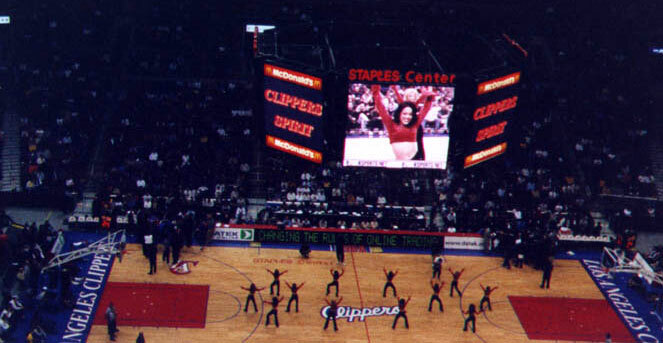 Only against the Clippers can a play-of-the-year take place (Shaquille O'Neal scored a career-high 61 points against the Lakers' cross-city rivals in a game this same month). 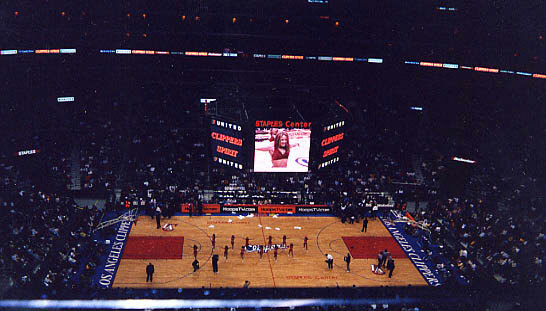 The Toronto Raptors defeated the Los Angeles Clippers, 95-94, after Vince Carter made the game-winning 3-pointer.